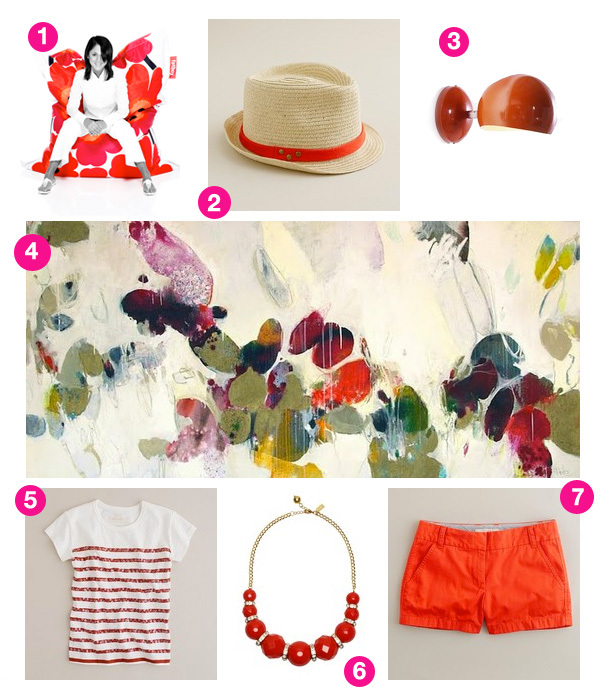 Maybe it's because I am so, SO ready for spring, or maybe it's because Valentine's Day is coming up, but I am really into hot orange-y red right now. I just want to put on all of those clothes up there, relax on a Marimekko bean bag, and paint my nails with Essie Clambake. And apply Chanel red lipstick. And drink a Bloody Mary. And write poetry about red, red roses. Meanwhile, outside, it is snowing. Let's just pretend that that is not happening in Louisiana on February 9. Thank you for your cooperation. What are you looking forward to for spring?